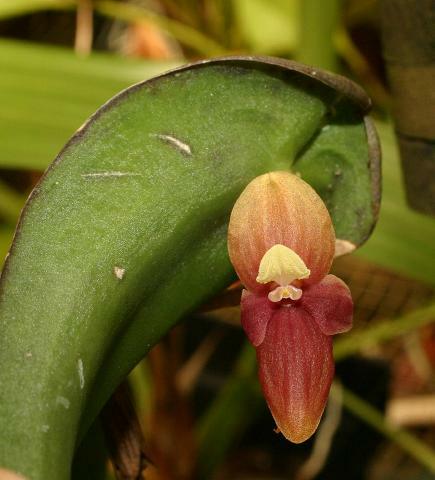 Pleurothallis perijaensis Dunst. 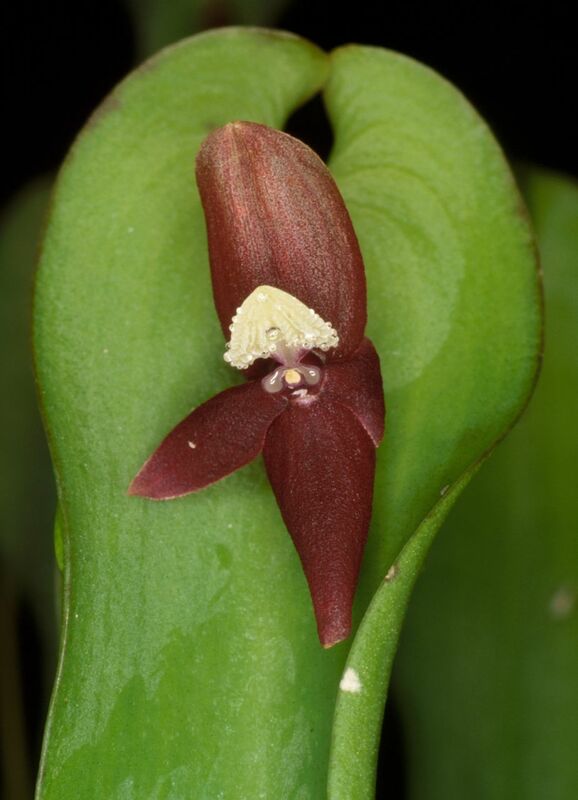 1978 SUBGENUS Pleurothallis SECTION Macrophyllae-Fasciculatae Lindl 1859 Photo courtesy of © Lourens Grobler. Another Flower Photo courtesy of Bernard Gerrard. 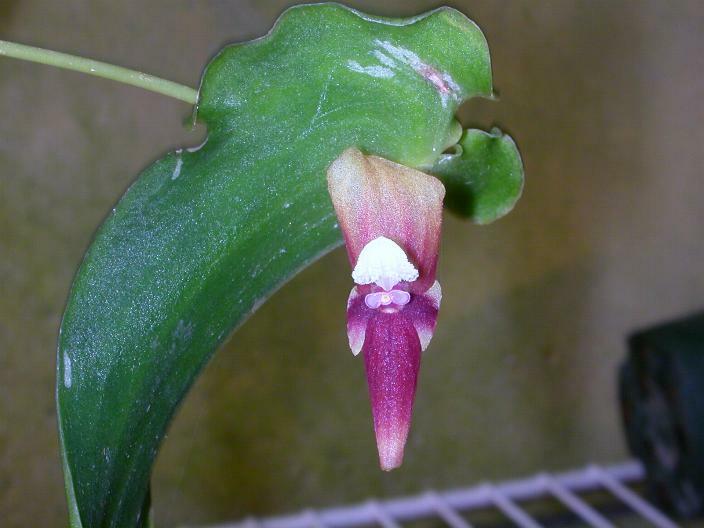 Found in Venezuela, Colombia and Ecuador at elevations around 1200 meters as a small sized, cool growing epiphyte with slender, erect ramicauls enveloped basally by 2 to 3 tubular sheaths and carrying a single, apical, narrowly cordate leaf that blooms throughout the year on a short single flowered inflorescence holding the pendant flower somewhat within the cordate leaf base.